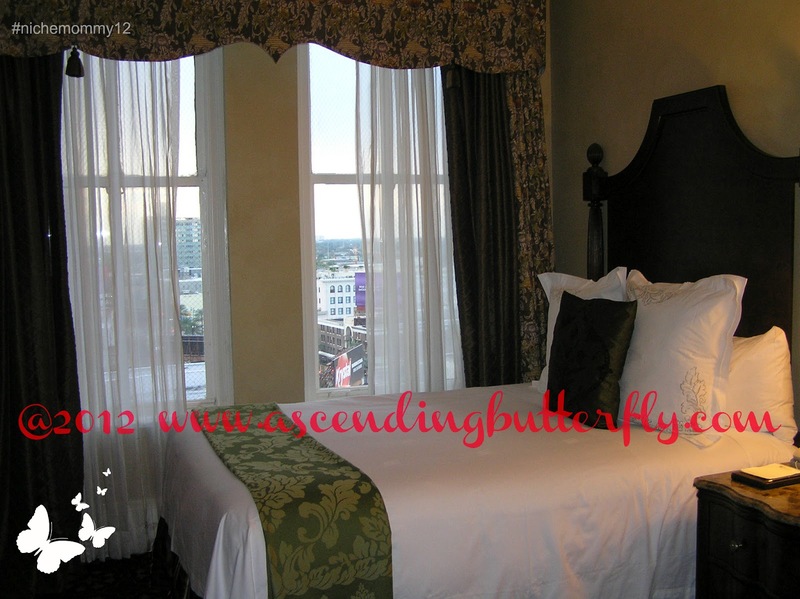 Ascending Butterfly: Weekly Moment of Gratitude: New Orleans Niche Mommy 12 Conference Edition! 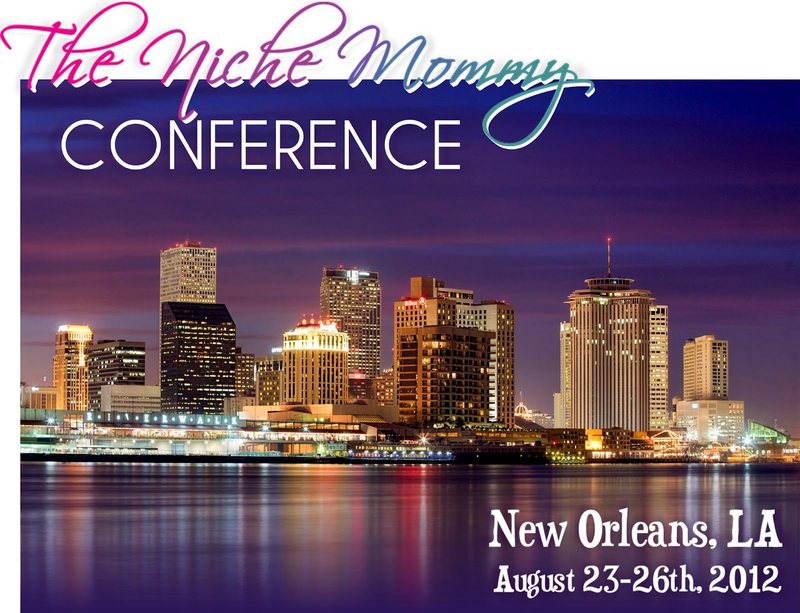 Weekly Moment of Gratitude: New Orleans Niche Mommy 12 Conference Edition! Ƹ̵̡Ӝ̵̨̄Ʒ - Britax! - I had no idea when I embarked on an Ambassadorship with @SafeConBritax that it would lead to many so new adventures! 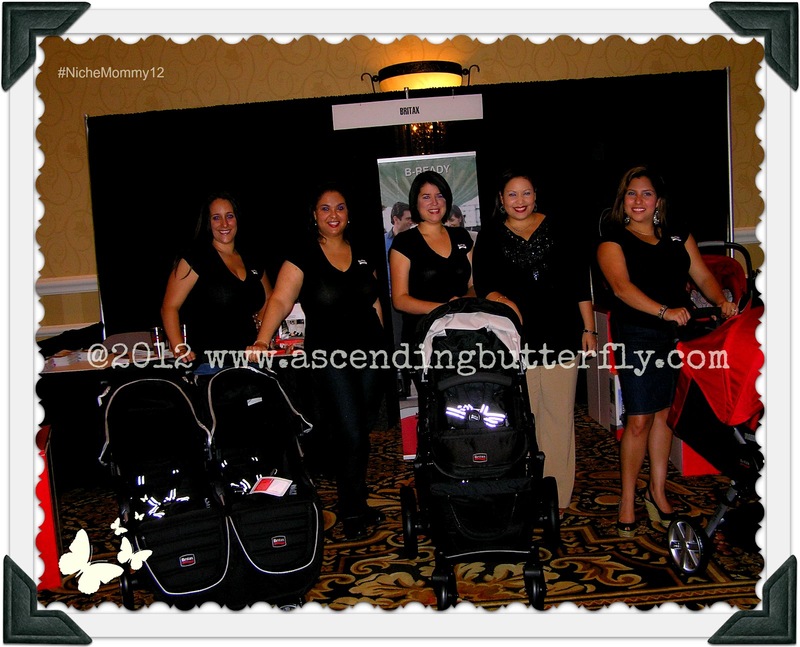 It started with a trip to Britax Headquarters, and now the opportunity to attend the Niche Mommy Blogging Conference during it's inaugural year! 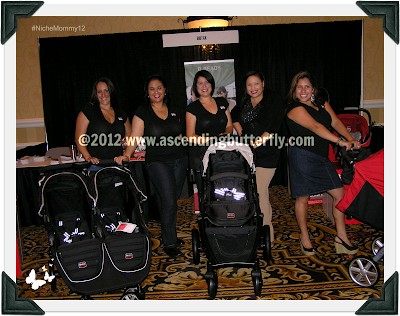 I loved the idea of becoming a Britax Ambassador from the very begining, because they put child safety first. I know the majority of my readers are moms. Moms from many different walks of life, but the common denominator for all moms is wanting your child to be safe. And that is Britax's goal, it's their mission. And the small way I get to be a part of that journey has been more rewarding than I ever could have anticipated. I'm grateful to be part of the program! I'm also grateful that this program has given me the opportunity to host giveaways for you so you can experience first hand just how wonderful Britax products really are! This has been my favorite Brand Ambassadorship by far, and I can't wait to see what 2013 brings! Ƹ̵̡Ӝ̵̨̄Ʒ - The Team! - Britax sent 4 of their ambassadors to New Orleans to experience the Niche Mommy 2012 conference, they also hosted a Coffee and Chat afternoon break session where great prizes were given away and we got to assist and answer questions fellow attendees had about Britax products and what it's like being a Brand Ambassador and a part of their Latina Advisory Board and Hispanic Social Media Outreach Program. Britax was an official Conference Sponsor and attendees got the opportunity to see products up close and personal and win fantastic prizes! Congrats to all the winners! By the way 2 winners were MEN! Go Britax! Oops! This angel had her eyes closed! Why is it that Camera Flash always makes me blink? Don't you just love our matching Britax T-shirts? 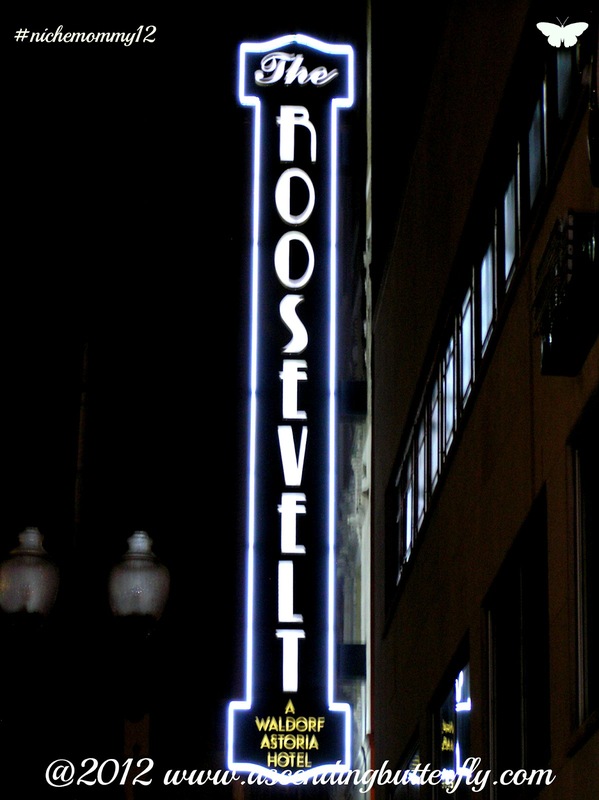 Ƹ̵̡Ӝ̵̨̄Ʒ - The Roosevelt New Orleans - The Roosevelt New Orleans is a Waldorf Astoria Hotel, and I can't begin to thank them enough, the service was impeccable, the food was totally amazing, and there is no detail left to the imagination! The staff was super friendly and welcoming and I can't wait to go back! Their turn down service with super comfy robe and chocolates on the pillow was a fantastic touch. The folks at Niche Mommy did a wonderful job and selected just the right hotel and venue for this conference! Picture of my room! This was room 1003 in Tower 1 of The Roosevelt! Did you know that the majority of conference attendees are bloggers who have been blogging well over 2 years? This conference certainly gave 'Veteran Bloggers' as well as 'newbies' a great way to come together to learn not just from the panelists, but each other! Ƹ̵̡Ӝ̵̨̄Ʒ - BlogHer! - If it hadn't been for BlogHer which is where I met Nadia, the Founder of the @NicheMommy #nichmommy12 conference, I wouldn't have even heard about the conference until much later on, I am so glad I had the chance to meet her during BlogHer. Nadia is truly down to the earth, and she definitely made it look easy but I know first hand just how difficult the details are when putting a together conference, and she covered every detail amazingly well! Ƹ̵̡Ӝ̵̨̄Ʒ - Travel! - I love to travel and hadn't visited New Orleans before, this was amazing opportunity to attend a great conference during it's kickoff year, and explore an amazing city! 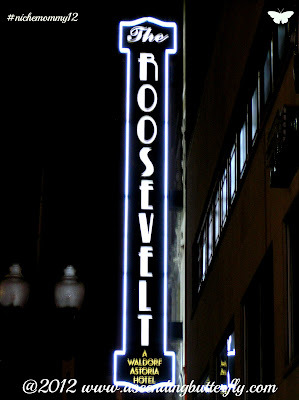 I can't wait to share more of where I visited and what I saw, I will do so across a series of Wordless Wednesday posts! And I am so excited that the Niche Mommy Conference will be held in New Orleans again next year! There are so many amazing sites I didn't get to see this time around! Ƹ̵̡Ӝ̵̨̄Ʒ - New Friends! - I met some amazing people during this conference that truly made my experience so much richer! This past week has given me so much to be grateful for, so much new knowledge, new ideas and new inspiration, I feel I've come home *renewed* and with a renewed sense of passion for what it is I do best! Ƹ̵̡Ӝ̵̨̄Ʒ - Giveaways will be back very soon, including our two favorite regular features that took a mini-hiatus this summer, The Featured Handbag in the Spotlight, and our Monthly Book Club! And look for a fun Britax Giveaway which I will post very SOON! FTC Disclosure: Journal Recommendation uses an Amazon Affiliate Link. Questions about our Disclosure? 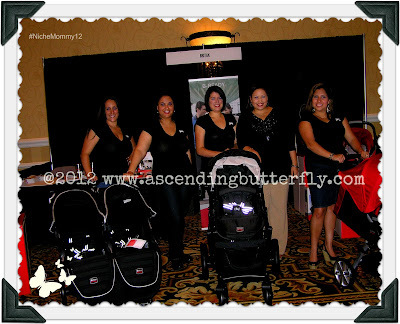 I am a member of the Britax Latina Advisory Board and Hispanic Social Outreach Blogger Campaign via Mami Innovative Media, being part of this ambassadorship does come with copensation and incentives, however my opinions are 100% my own. I am not required to share my experiences about the Niche Mommy Conference or New Orleans, nor am I being compensated to do so. I did enjoy the conference and the City and am happy to share my experiences! Sounds like a great conference and I'm glad that you got to be a part of it. 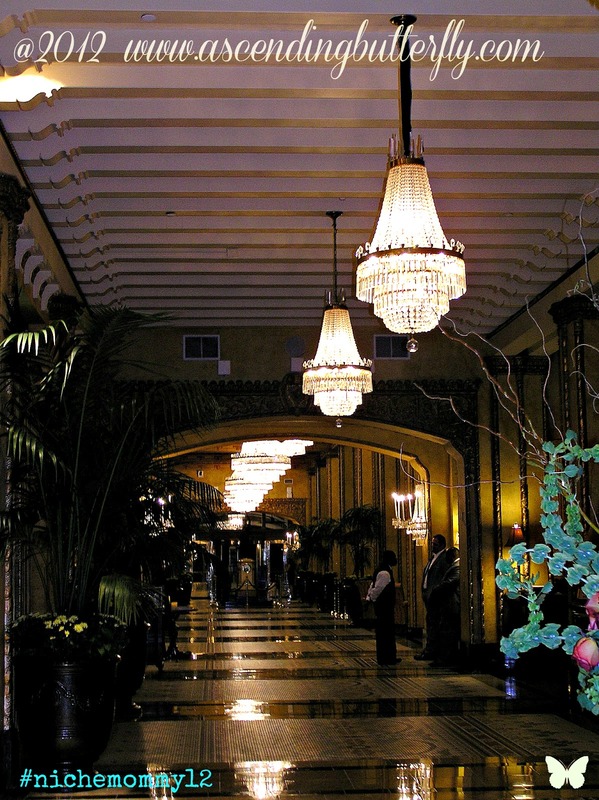 New Orleans is a great city, one of my favorites indeed.